Aditya Pancholi and his wife Zarina Wahab have sent a legal notice to Kangana Ranaut over her claim that he was abusive and violent when they were in a relationship. She made these claims on the show Aap Ki Adalat. "Yes, we have sent a legal notice to Kangana. Currently, we can't really talk about it as our lawyers have said not to divulge more details. Give me a week's time, I will surely talk to you in detail about the legal notice," said Zarina to Pinkvilla. She added that the family was 'disturbed', and that they had been wronged by Ranaut. Early in September 2017, Pancholi and his wife vowed to sue the actress for defamation. "I am very scared of her now. I really don't know what to say and time will tell who is right and who is wrong. Everyone has been saying that it's some sort of a promotional strategy and now, I feel very worried about her. If a person can say something so nasty, what can I really say. I am just worried for her," he said. He also reportedly called her 'mad' for making these revelations. 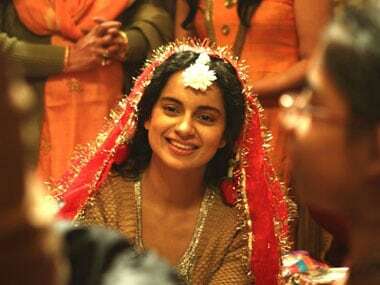 Previously, Zarina has denied Ranaut's claim that she treated her "like a daughter". She called it preposterous, because she says she was aware of the actress' four-and-a-half-year-long affair with her husband. "This man, who was my father’s age hit me hard on my head when I was 17. I started bleeding. I...hit him and he started to bleed too. I lodged an FIR against him," said Ranaut in an interview to Barkha Dutt. 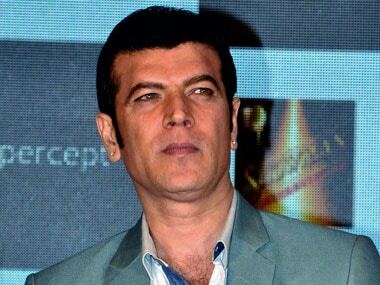 Aditya Pancholi, in turn, had accused Ranaut of using him to get a foothold in the film industry when she spoke about the abusive relationship. She claimed that the police had let off Pancholi with a warning.